GOOD MORNING Miss Emma!! OMG What a Cutie Patootie Tag!! Your little guy is adorable and you sure did an Outstanding coloring job!! 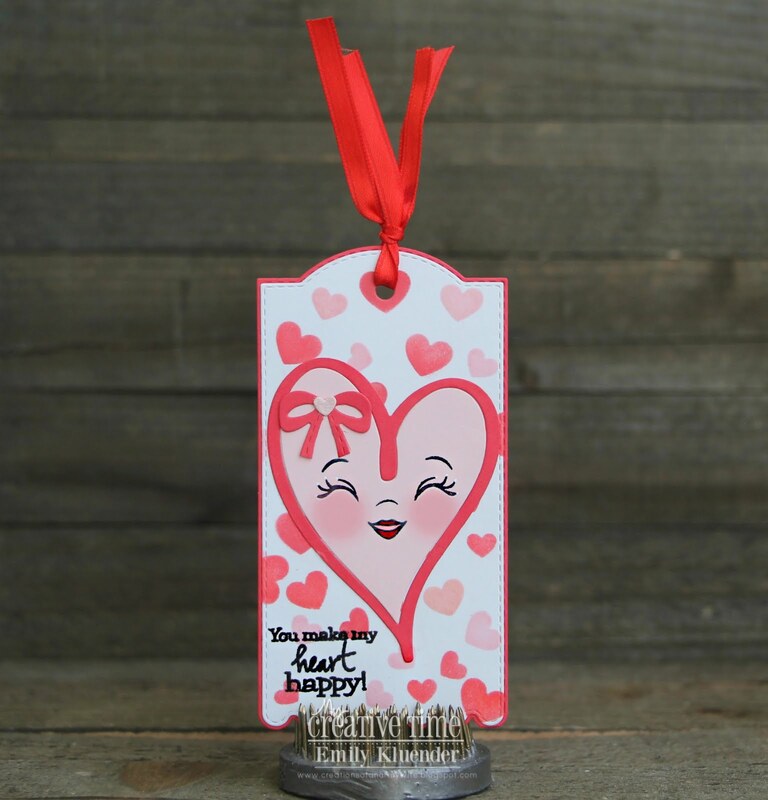 All of your Creative ideas sure make for one Super Spectacular Tag!! I just adore this little stamp & die set...so thanks for sharing more clever & creative ideas & ways to use your Fab goodies. Wishing you a Tremendously Terrific Tuesday!! YOU so ROCK!! Cute tag!! 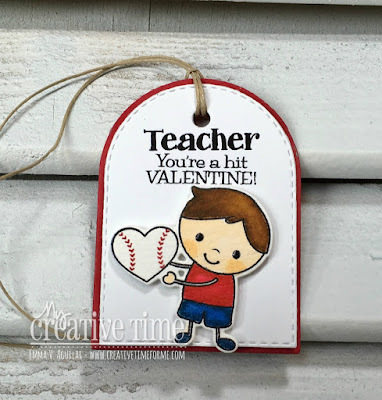 Love the baseball heart! Super cute tag! 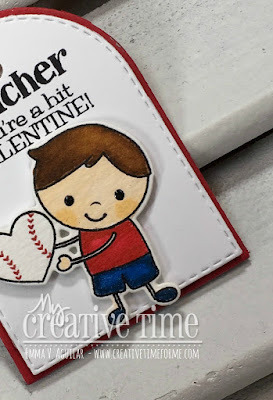 I love the baseball design shaped as a heart! Adorable!! How adorable is your tag! I like that you used the oldie but goodie You're A Hit Valentine! The team also had some beautiful tags to share today...so much inspiration!